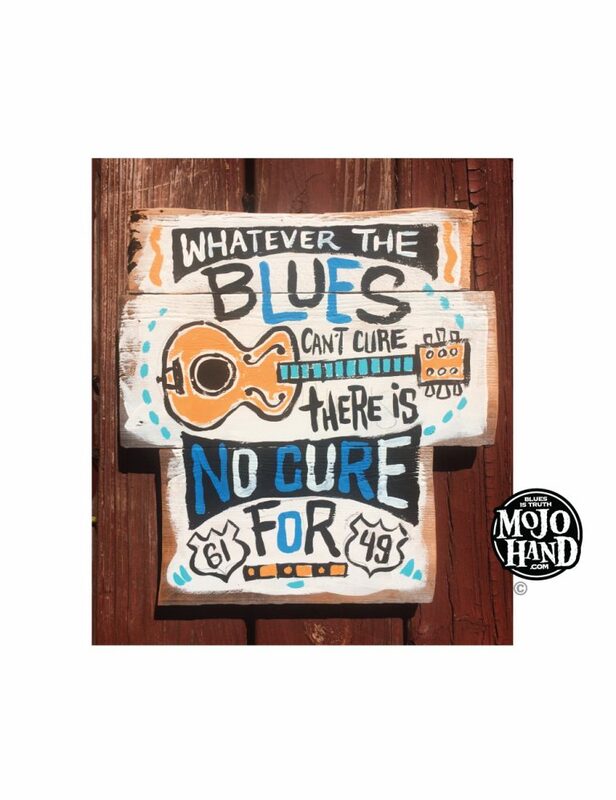 This folk art styled Blues can’t cure folk art painting is 13 inches by 14 inches, Acrylic on wood, ready to hang. Hand painted by Grego Anderson, sole proprietor of Mojohand. One of a kind – Ships Worldwide.